Marik-Baken Funeral Services Ltd. is committed to compassionate, customized funeral services to meet all your family’s needs. We offer traditional funeral services, memorials, cremation and pre-arrangement planning. With over 40 years of experience, owner Barbara Marik-Baken is a licensed funeral director you can trust to provide highly personalized funeral services. Family owned and operated, Marik-Baken Funeral Services Ltd. is your trusted local source for caring, professional funeral services. 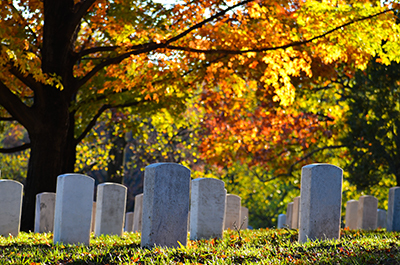 We have been offering customized funeral services to the greater Chicagoland area since 2006. At Marik-Baken, we are committed to providing services that best honor the life of your loved one. Owner/director Barbara Marik-Baken applies over four decades of experience to deliver personalized funeral services that meet the specific needs of each person and family. As a full-service funeral home in Chicago, IL, Marik-Baken Funeral Services Ltd. offers everything from traditional services to pre-need planning. Arrangements can be made for services at the funeral home, a church or any venue that is best for your family. Owner/director Barbara Marik-Baken is a licensed funeral director with over 40 years of experience. We offer traditional services, memorial services, cremation services and pre-arrangement services. We can make arrangements to use our facilities or hold your services at the location of your choosing. Our full service includes a wide range of caskets, urns, burial vaults and mementos for all your needs. One of our caring staff members is available to answer your call 24 hours a day. Contact Marik-Baken Funeral Services Ltd. today for more information on how to honor your loved one with a customized service. "The staff was absolutely wonderful to my family and I when my Mother passed away. They presented us with a variety of options and did not tr..."
"Beautiful quaint facility with colorful stained glass windows. Nice little lounge for guests with a comfortable vibe. Very nice and helpful ..."
"You guys did a beautiful job for my uncle's funeral. We didn't know where to go, but thanks to my neighbors recommendation, we were put in ..."